« 50 objects for 50 years. No 24. The Ed Techie blog. This week’s object is a society, the Family and Community Historical Research Society, FACHRS. Founded by OU staff and students in 1998 it has carried out collective research projects and provided members with newsletters, conferences, an internet shop, seminars, workshops, publications and CDs and a bi, later tri-annual, award-winning Journal. Its membership, largely consists of independent, that is not affiliated to universities, graduates. FACHRS’ approach has been significantly influenced by approaches to teaching and learning, particularly of history, developed at the Open University. The university’s role has been as both a producer of knowledge and as a node within a network of cultural production. Rather than assuming that the flow of knowledge was only from the institution and positioning alumni as an income stream devoid of creativity there have been mutual benefits created through the development of a network of knowledge transfer. 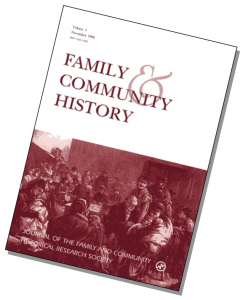 FACHRS has been built on the ideas and activities of individuals informed by a specific module at the Open University, DA301, Studying family and community history: 19th and 20th centuries. DA301 played a significant role in fostering the notion of a collective construction of knowledge. This was done by helping FACHRS members to build a sense of confidence, by foregrounding the relationship between learning and social connections and by offering realistic objectives and opportunities to share ideas and learn new skills. Two of the DA301 authors and a later DA301 team member founded and edited an associated journal, Family and Community History. One of them, Michael Drake, maintained close links to FACHRS. He had previously argued that the Cambridge Group employed a generation of enthusiastic ‘intellectual hod carriers’ but that the Project was, nevertheless, a useful model for FACHRS. Having worked with the Project and himself studied half-a-million baptism, marriage and burial records from Morley Wapentake, Yorkshire, he was able to offer his experiences of how to deal with large amounts of data. The data was stored on parish registers most of them still in churches. Access to each had to be negotiated with a different vicar. He devised a system for dealing with all this data which included persuading his wife, sister and parents to help out. This experience of a division of labour and collective, but not always equal, engagement, informed the making of DA301 and the Society. Drake, then Dean of the Faculty of Social Sciences, had also been central to the collation of a series of readings for D301. He made clear in his that these were ‘explorations of the past undertaken for the explicit purpose of advancing social scientific enquiry’. 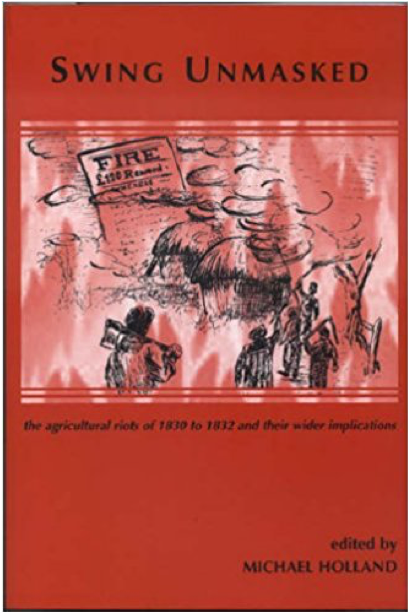 The module concentrated on the nineteenth and twentieth centuries, periods for which there was a large amount of data, such as census material, to manipulate using social scientific methods. He wanted to focus on the lives of ordinary people but to also be clearly structured and consistent. The longevity of FACHRS is related to its ability to act as a catalyst for learning and cognitive change. It has been where learners could teach and learn with one another and control their own learning. Just as apprentices begin learning by engaging in simple tasks and then progress towards more demanding tasks, so these communities offer opportunities to learning as part of their learning. Membership did not require people to amass transferrable knowledge. They could, as learners, ask questions, listen to the answers given to others and teach others. 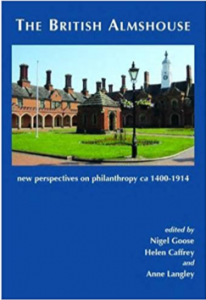 Members’ narratives demonstrate that they understood their formal experiences could be the basis for the creation of their own spaces for further learning. FACHRS has also been influenced by the Open University’s methods and ideas and by wider intellectual and social developments which enabled graduates without formal post-graduate training in research skills to research, share skills and develop their own agenda. When the Society was created initially it had regional groups based on the areas of the UK covered by the 13 OU regions and nations. The East Midlands organised a conference on ‘Hosiery Past and Present’ and followed up with one on oral history. In the South-East Network Simon Fowler established a collaborative research project ‘Changes in public houses during the centuries’ which linked to the 2001 conference theme, ‘Beer and Skittles’. There was also a talk on CLUTCH, a Millennium Award scheme run in conjunction with the Knowledge Media Institute at the Open University. About 315 people worked in 60 local groups to gain computing skills via history projects. However, most of the regions were too large for meetings to be easily arranged and soon the society changed its strategy and focused on particular themes, rather than particular areas. In 2000 Peter Wardley, of the University of the West of England, gave a paper to the FACHRS annual conference about his efforts to trace the spontaneous replacement of Roman numerals by Hindu-Arabic ones on probate inventories between about 1540 and 1700. He had devised an eight-point taxonomy for the collation of this data and sought help from people in a variety of locations so that the spread could be mapped. 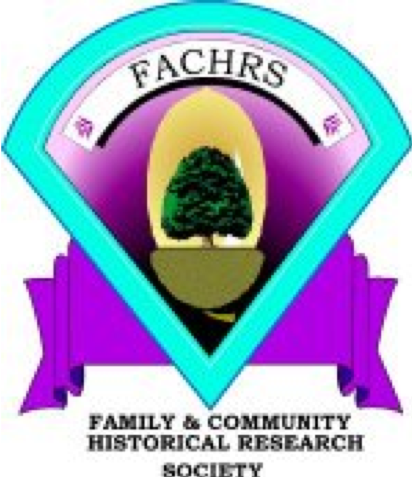 A collaborative project was launched by FACHRS. The Society’s subsequent reports on probate inventories and relevant contemporary documents demonstrated that geographically dispersed independent researchers could co-operate and that technology could be used for the educational dissemination and collation. Wardley’s hypothesis, regarding the spontaneous use of a different way of calculating and recording monetary values, was bolstered. FACHRS Chair Clive Leivers described the project as ‘a great success in its intrinsic content and demonstration of what the society should be about’. Th e first FACHRS project to result in a book under the banner of FACHRS Publications was Swing Unmasked: the agricultural riots of I830 to I832 and their wider implications. In 2000 Essex local history tutor Michael Holland initiated the project with FACHRS member Jacqueline Cooper and later Stella Evans as the co-ordinators. This was a project not run by a university-based academic but there was academic involvement. Forty FACHRS members provided data and in Shropshire a local history tutor got his certificate students working on it as a class project. The Society also produced a CD with the database of known incidents. This attempt to record the extent of the unrest on a national basis found over 3,000 incidents, 53% more than Hobsbawm and Rude’s 1969 list. Moreover, FACHRS found incidents in 43 English counties and in Wales and Scotland. The Society called into question the original geographical spread and time frame of the events. The original study, by historians Eric Hobsbawm and George Rude, claimed this was a labourers’ movement. FACHRS repositioned the events as a series of localised struggles. Man y of the Swing rioters who were caught and put on trial were transported and 17 FACHRS members worked on a project about nineteen-century pauper emigrants. This was run by Stella Evans as Project Co-ordinator and although there was an Academic Advisor, Simon Fowler who then worked at The National Archives. He was on tap, not on top. Those involved in this project received a reading list, websites and other information. For a project on allotments, contributors met academic advisor Jeremy Burchardt of the University of Reading. This resulted in Jeremy Burchardt and Jacqueline Cooper (eds.) Breaking new ground. 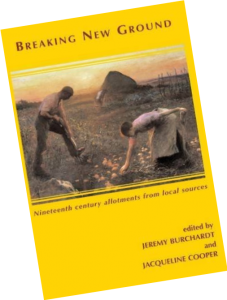 Nineteenth century allotments from local sources, Family & Community Historical Research Society, 2010. A companion to the book was a CD containing a database of over 3,000 allotment sites and nearly 1,000 allotment tenants. Clive Leivers, the first Chair of FACHRS, was clear that FACHRS was in charge of the ‘academic adviser’. He added, ‘we have managed to provide a way in which we can encourage and advise people in research’. 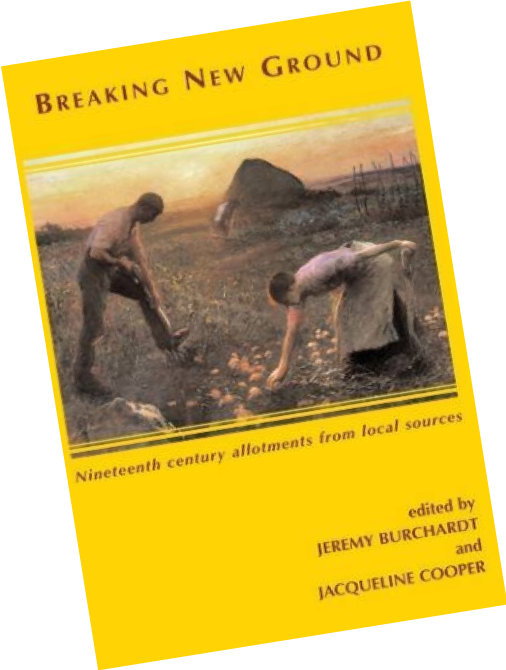 The possibility of a correlation between Swing riots and allotment provision was one of the topics covered in Breaking New Ground: Nineteenth Century Allotments through Local Sources, edited by Burchardt and FACHRS member Jacqueline Cooper. Funded by two grants, one for research and another for the publication it relied heavily on members’ research. Material was considered which it would have taken an individual researcher, decades to locate and assess. Since then there have been numerous projects and mini-projects, collecting, collating interpreting historical data. FACHRS is not the only society formed by former OU students who want to develop that which they leant on a specific module. It is one of several examples of how the boundary between knowledge accumulated for summative assessment and informal learning is porous, how higher education has much to learn from its alumni and how the OU’s impact has reached far beyond formal education and the awards ceremony. This entry was posted on Monday, October 8th, 2018 at 12:01 am by Daniel Weinbren	and is filed under 50 objects, Pedagogy, Research. You can follow any responses to this entry through the RSS 2.0 feed. You can leave a response, or trackback from your own site.